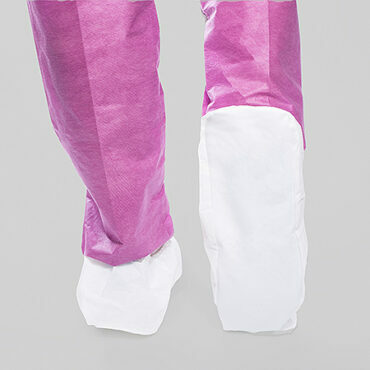 These boot covers feature a thick SMS dotted skid resistant bottom and a strong, highly fluid-resistant, breathable top. 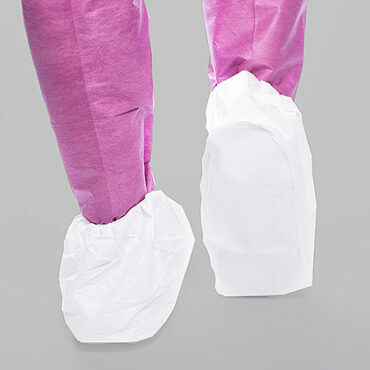 The boot covers protect workers against wet and dry hazardous and non-hazardous contaminant particles including lead, asbestos, paint, mold, dust, fibers, and grime. 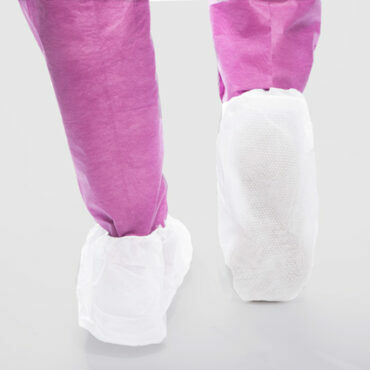 The laminate coating and matrix fiber construction create a breathable yet impermeable barrier to particles and are especially effective where dirt, grime, splashes and spills exist. 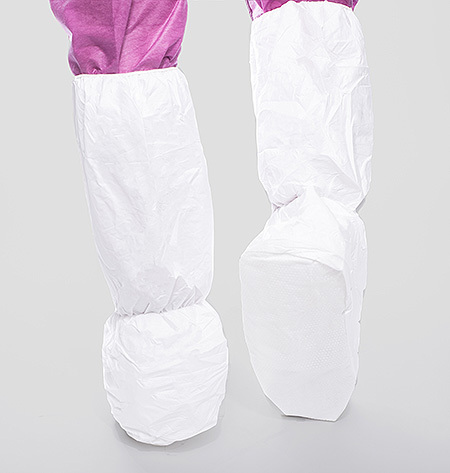 LiquidGuard Top – Constructed from our strong, breathable, microporous material with a laminate coating and matrix fiber construction that create a breathable yet impermeable barrier to hazardous and non-hazardous particles; dirt, grime, splashes and spills.